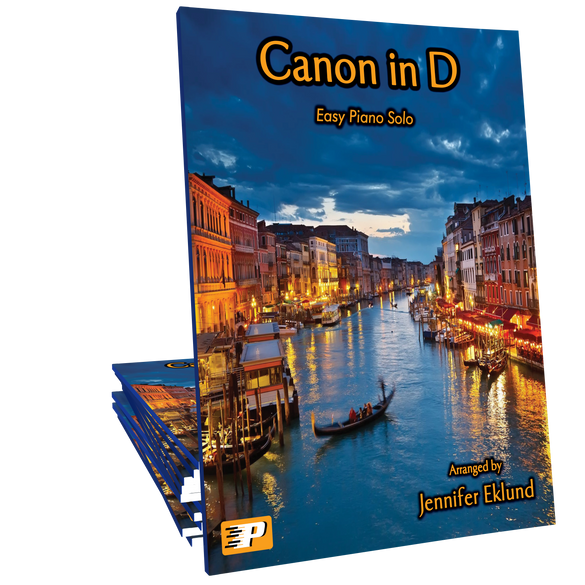 Canon in D easy piano solo arranged in the original key by Jennifer Eklund. 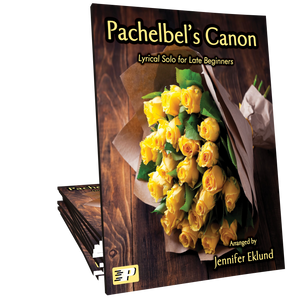 This simplified version stays true to the original piece and will delight advancing beginners of all ages. Backing tracks, in MIDI and Mp3 format included with paid versions for a full-time fun experience! All my students picked out one special solo they wanted to learn this summer, and this one has been a hit! 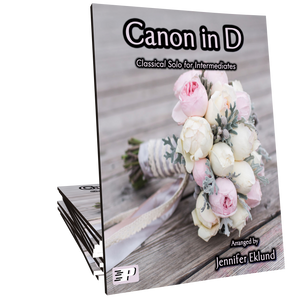 This arrangement makes the celebrated Canon as easy as possible. It takes many of the most memorable melodies and creates a version that almost anyone can play. 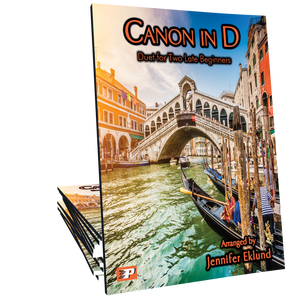 It's a definite winner at any price, and even more of a winner being free. 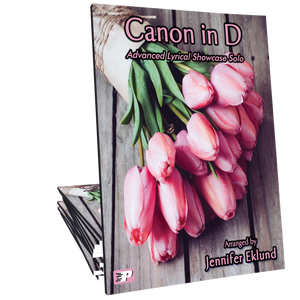 Download this for free first, then you'll recognize the value of the backing track and make a purchase. It's a total win-win for everyone.